SOCO Falls, NC - Do not miss this double waterfall if you are driving between Cherokee and Maggie Valley, NC on Highway 19. The hike to the lookout is mild and accessible for any age. 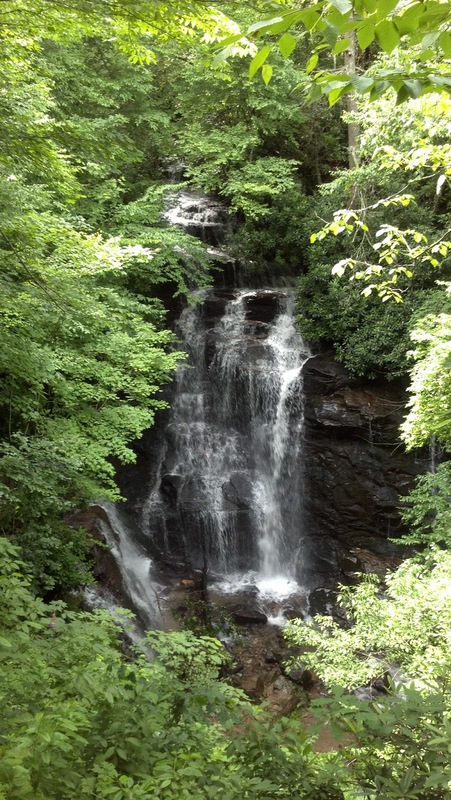 The five minute steep hike on a maintained trail leads to a platform lookout with an incredible view of the falls. 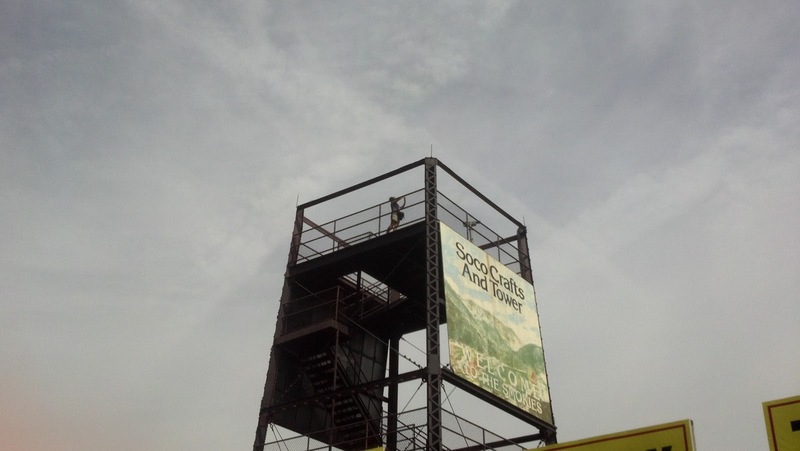 At the Soco Falls lookout, you can hike more if you like, but it isn't necessary. There are two other trails branching off after you reach the lookout for the glorious view pictured above. 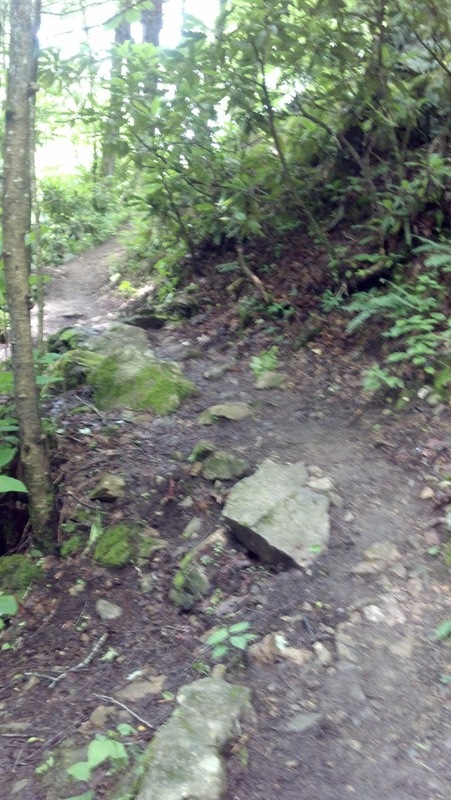 The other trail leads down to the top of the falls. It is not a maintained trail, but there is a rope there to assist. 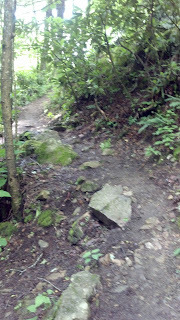 It is slippery and dangerous, difficult if you are not a hiker. My friend hiked down this one. 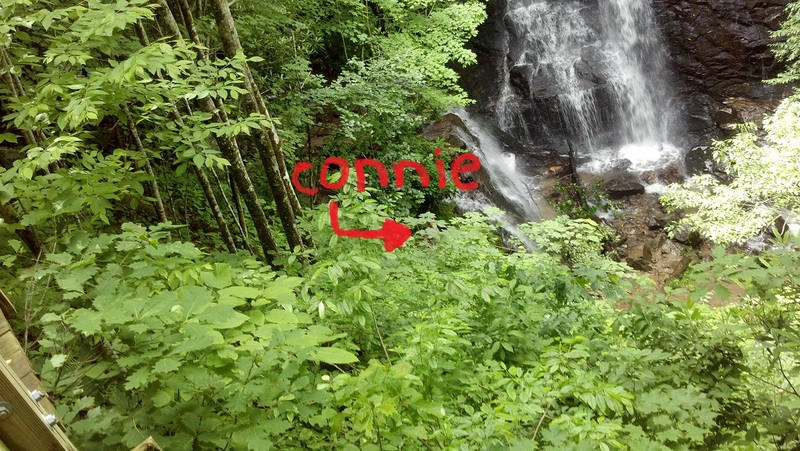 I pointed her out in the photo below because you can't quite see her. Please don't let young children do this hike. There are no barriers to prevent falling. Location: The falls are marked with a small blue sign .5 miles on either side up and down Highway 19. Once you see the sign, prepare to stop. There's just a small pull-over for parking that can park maybe seven or eight vehicles. 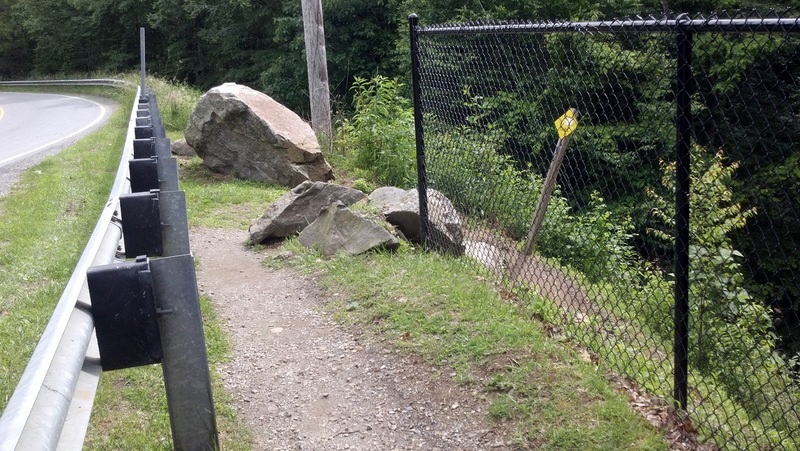 The trail head begins at one end of the pull-over where the fence ends. Just slip around the fence and begin the trek. One other place worth mentioning on the drive between Cherokee and Maggie Valley is just outside Maggie Valley. It is a small store with a parking lot, a lookout platform and this old water tower stand. For fifty cents, you can climb the stand and get a great view. They claim it is the most popular view of the Smokies, but I imagine that claim was made before the Blue Ridge Parkway was built or something. It's a great view, but certainly not the best. Butts on the Creek - Very good BBQ, incredible smoked turkey sandwich. Fried corn on the cob is famous, but not so great, kind of bland. Excellent parsley potatoes. Beautiful screened in patio dining above Jonathan creek. Joey's Pancake House - Incredibly well run, the service is outstanding. Huge variety of pancakes, omelets, various breakfast foods. Packed most of the time, but the wait is still short because it is so well run. Cabbage Rose - Beautiful gift shop.